Thus the final research aim is to obtain a reliable method to assess the damage accumulated in the fuselage by means of an on-line and advanced prognostic models that allow the definition in real time of a plan for periodic and special inspections. Development of novelty algorithms for sensor data analysis applied to SHM, diagnostic and prognostic based. 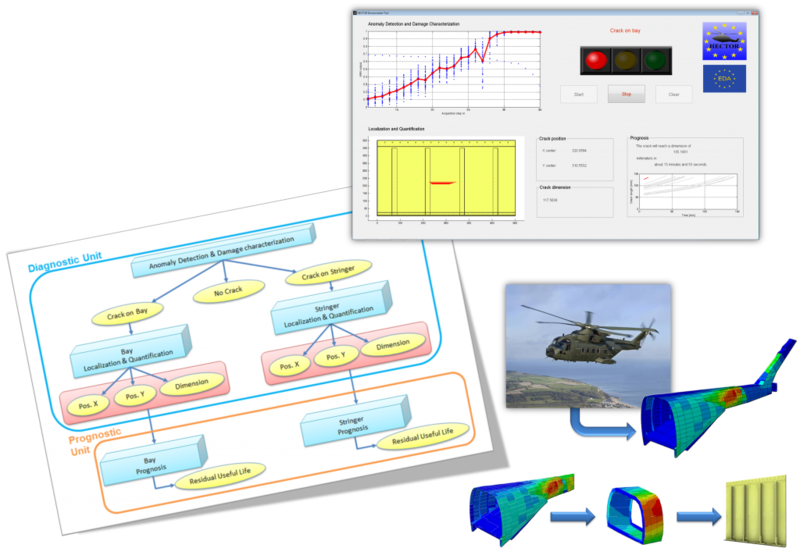 Design of the sensor network data modelling for SHM, focussing on integration and fusion of sensor data. Architectural design of the wireless sensor network, for the issues that concern the integration of multiple sensor data into a centralized point for their analysis.